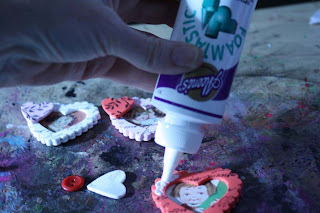 Moms and Grandmoms really love getting handcrafted gifts and what better way to say, “I heart u” than these retrofabulous foam heart pins. 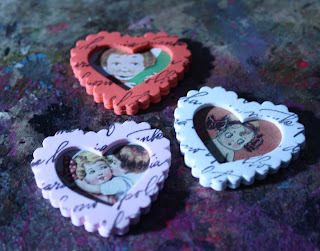 These are quick and easy to make and you can opt to use photos instead of vintage images if you prefer. Attach them to a card and it’s a two for one combo that will make them smile every time they wear these adorable pins. 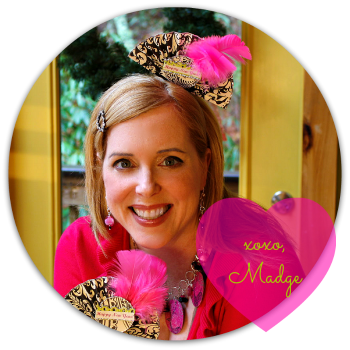 Yup, I’ve got you covered...so let’s get crafty! 1. Select images to use inside of your foam heart frames. Here is a sheet of permission free images you may print for use with this project, these are not intended for resale. 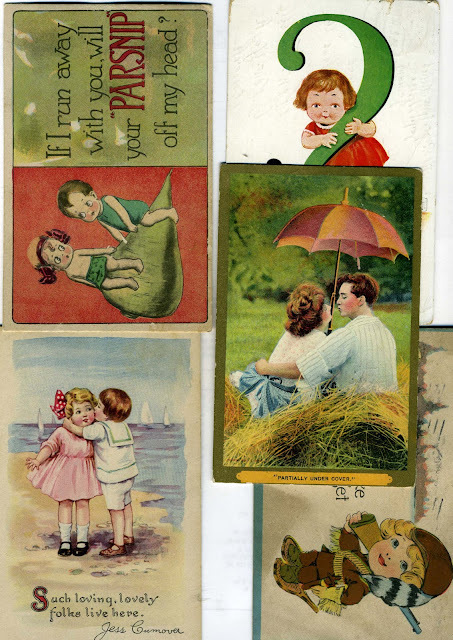 I am sharing cards from my personal ephemera collection. 3. 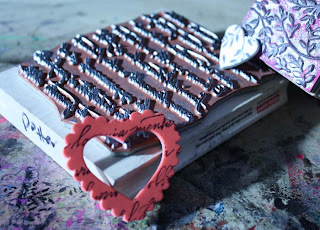 Stamp heart frames with writing stamp and archival ink. Stamp small hearts with foliage stamp and archival ink. Allow ink to dry. 5. Stick images inside of frames and use a plain scalloped edge heart to sandwich the image, take time to make sure the scallop edges line up. 6. 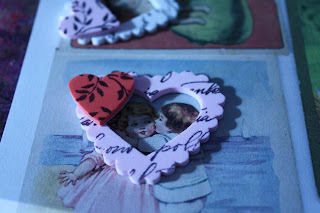 Adhere small heart and buttons to edge of each frame with Foamtastic Glue. Allow to dry. 7. 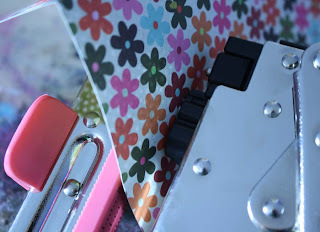 Fold a sheet of patterned scrapbook paper over to make a wide card. The sheet I used was 7.5”x8.5”. Use a bone folder to make a sharp creased edge. 8. 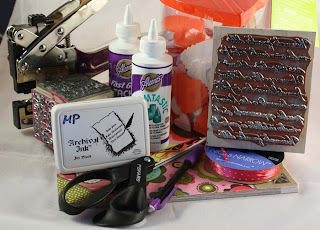 Cut a coordinating decorative strip and adhere it to the bottom edge of the card with Aleene’s Fast Grab Glue, add a thin dotted ribbon accent to top edge of strip using Fast Grab Glue. Allow to dry. 9. Mark placement of pins on card, one in the center and one on either side towards the edge. 10. Use Crop-A-Dile Big Bite to punch small holes at marked spots on card. 11. 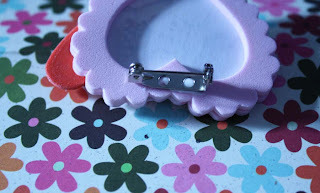 Attach the pins to the holes. Thank you! This blog post will be advertised on CraftCrave in the Handcraft category today (look for timestamp: [09 Feb 03:00pm GMT]). So cute! I wish I had seen this earlier. Maybe I can adapt it for another occasion.